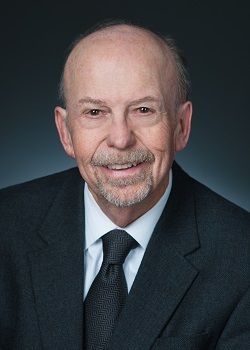 John E. Barraclough, Jr. is the Managing Principal with Barraclough & Associates, P.C. formed in 1985. John is a Certified Public Accountant, licensed by the State of New Mexico. He is a member of the New Mexico Society of Certified Public Accountants, the National Association of Public Accountants, and the American Institute of Certified Public Accountants and is a Fellow of the American Board of Forensic Accounting (the highest level). He obtained his Bachelor of Business Administration in Accounting at New Mexico State University in 1966. John has had over fifty years’ experience auditing businesses, financial institutions, nonprofit entities, state agencies, counties, municipalities, universities, and federal grant programs. He serves as Treasurer of the Foundation for Santa Maria El Mirador, a large nonprofit organization located in Northern New Mexico. He also serves on the advisory Board of Directors of Allan Houser, Inc., the family run corporation of the famous Native American artist. John can be reached at john@barraclough.com. Annette Vigil Hayden, CPA, is a Principal with Barraclough & Associates, P.C. Annette is a Certified Public Accountant licensed by the State of New Mexico. She is a member of the New Mexico Society of Certified Public Accountants and the American Institute of Certified Public Accountants. She obtained her Bachelors of Accountancy from New Mexico State University in 1986. Annette has over thirty years of experience, primarily in the areas of taxation and financial consulting. She is the recipient of the 2005 New Mexico Society of Certified Public Accountants Community Service Award in recognition of outstanding achievement and dedication to public service. She was voted 2012 Santa Fe Business Women of the Year and was recognized as one of Santa Fe's people who make a difference in their community for their volunteer efforts. Annette can be reached at annette@barraclough.com. Sandi is a principal with Barraclough & Associates, P.C. and is responsible for complex tax matters and consulting services. Sandra M. Shell, CPA/ABV, CVA has over thirty-two years of experience as a CPA in public accounting. 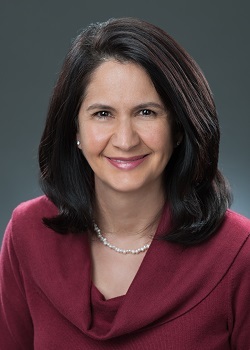 Her work has included the analysis of financial statements, financial projections of business operations, managerial consulting, forensic accounting, all areas of taxation; especially high net worth individuals, trusts and estate taxation, preparation of business plans, and business valuations for gifting, estate planning and business divestiture/purchases. Sandi is a member of the National Association of Certified Valuation Analysts (NACVA), a business valuation professional organization, which provides training and standard setting for Certified Public Accountants who perform business valuations. She is the former Chair on the NACVA Ethics and Oversight Board and served a total of three years on the Board, which is a membership-wide elected position. 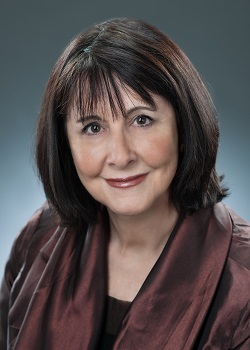 She is the past chairperson of the Divorce Conference Committee for NACVA and retired in June 2010 from the national editorial review team of The Valuation Examiner, a national publication where she contributed her time as a content editor for over 6 years. Sandi is a former contributing author and instructor for the Current Updates in Valuations course for the NACVA (a required course for recertification) for the years 2003 through 2006. 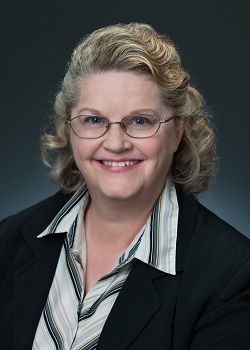 She co-authored an article in 2003 for publication in The Valuation Examiner titled, "Sarbanes-Oxley Act Exposes Connection Between Ethics, Professionalism and Liability". Sandi has also instructed a course titled Proactive Divorce Tax Planning for the New Mexico Tax Institute. In May 2007, she received a "2006 Instructor of Great Distinction" award from the NACVA for her teaching scores from participants for the prior year. She is the recipient of the 2007 New Mexico Society of Certified Public Accountants' Outstanding Member in Public Practice Award. Sandi is a member of the following organizations: American Institute of Certified Public Accountants, New Mexico Society of Certified Public Accountants, National Association of Certified Valuation Analysts, and the International Association of Consultants, Valuators, & Analysts. She served her community as the former Treasurer and director of the Santa Fe Animal Shelter and Humane Society from 2003 until mandatory rotation in 2007. She was appointed twice by the Governor to the Real Estate Appraisers Board representing the public and served from July 2006 until July 2011. Sandi can be reached at sandi@barraclough.com. 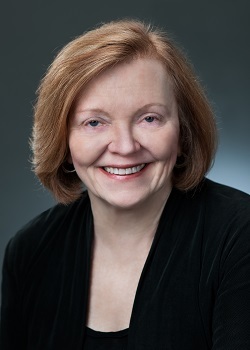 Katherine M. Rowe is a Principal with Barraclough & Associates, P.C. She joined B&A in 2008 and over the last thirty plus years has gained extensive experience in numerous aspects of taxation. Kathy earned her Bachelor of Science in Accounting and Bachelor of Arts in Economics from the University of Delaware. She is a past president of The New Mexico Society of CPA’s, and served a three-year term as The New Mexico Representative on the AICPA’s National Council. Kathy was also an appointed member of the AICPA Tax Division’s committees on Tax Accounting Methods, Tax-Exempt Organizations, and Individual Taxation. Kathy is currently on the board of directors of both the Santa Fe Estate Planning Council and the New Mexico Estate Planning Council. She is a member of the Board of Directors and the Tax Conference Planning Committee for the New Mexico Society of CPAs. Kathy received the Outstanding Member in Public Practice Award from the New Mexico Society of CPAs in 2011. Kathy is a graduate of Leadership Albuquerque and The Delta Porte Leadership Course. She has been president of numerous not-for-profit Boards in Albuquerque and served as an allocation panel chair for the United Way of Central New Mexico for a number of years. Kathy can be reached at kathy@barraclough.com. Rhonda G. Williams, CPA, Principal has been with Barraclough since 2002. Rhonda earned her Bachelor of Science in Business Education from Oral Roberts University. Rhonda took graduate level courses in Taxation at the University of Tulsa. She is licensed to practice in New Mexico and Oklahoma. She teaches continuing education classes and gives seminars for small business owners and nonprofit organizations. She also writes a newsletter on nonprofit taxation and compliance issues. Rhonda has over thirty years of experience in public accounting. In 2009, the NMSCPA gave Rhonda the “Woman to Watch, Emerging Leader “ Award. Rhonda is a member of the American Institute of Certified Public Accountants, the New Mexico Society of Certified Public Accountants, Past President of the Rotary Club of Santa Fe Centro, Assistant Governor for District 5520 of Rotary International, and member of the Steering Committee for Pancakes on the Plaza. Rhonda can be reached at rhonda@barraclough.com. Richard is a Manager with Barraclough & Associates, P.C. Rick obtained a Bachelor of Business Administration - Accounting in May 1986 from the University of Texas at Austin. He worked in public accounting in Philadelphia, PA and Santa Maria, CA for 12 years before relocating to Santa Fe, NM. He is a member of the American Institute of Certified Public Accountants and the New Mexico Society of Certified Public Accountants. Rick specializes in computer networks and information systems and is the firm's Information System Audit Specialist. Rick can be reached at rick@barraclough.com.